Late last year, we decided that we wanted to give vehicle repairs and service to a deserving family. 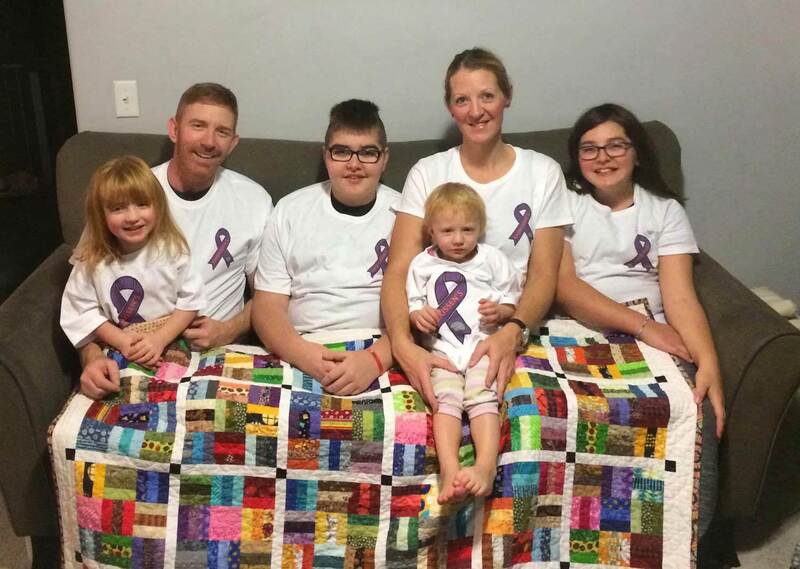 We put out a request for nominations, and when we saw the Manthey family’s story, we knew this was the family that needed our help. The Manthey family was dealt an unlucky hand when their teenaged son Taylor was diagnosed with Rasmussen’s Encephalitis two years ago. This brain disease causes chronic debilitating seizures, and if this rare disease spreads, it can be fatal. After several failed treatments, the family made the difficult decision for Taylor to undergo a hemispherectomy. This is brain surgery that would remove half of his brain. The surgery was successful in stopping the spread of disease and the seizures. Fortunately, his recovery has exceeded expectations. Though the seizures have stopped, Taylor has lost control of the right side of his body and has difficulty with his speech. He is working hard to rehabilitate and making progress, but the medical bills have been adding up. There are many things Taylor needs that are not covered by insurance. Those medical costs have taken priority over other things, like repairs and maintenance on the family’s truck. The vehicle required extensive repairs to it’s steering and suspension systems. The parts suppliers for Revolution Motors generously donated the parts we needed, and our automotive technicians donated their own time to do the repairs. The team at Revolution Motors decided to offer the Help a Family in Need program to use our skills and abilities, as a vessel to serve people in the community. Not having a working vehicle in this region can be crippling. This allowed our auto repair shop to give back in a way that is meaningful to us and really meaningful to people going through a tougher time. People who simply need a safe, reliable vehicle to make life a little easier. Revolution Motors plans to offer another deserving family vehicle repairs and service, up to a maximum retail value of $2,000, again this spring. We will be accepting stories and nominations in March. If you’d like to continue to help the Manthey family in your own way, check out their GoFundMe page to help with ongoing monthly expenses including Taylor’s respite care & mobility equipment. Know a family who needs our help? We’ll be opening up nominations for our ‘Help A Family In Need’ Program again in March. Follow us on Facebook for the latest updates.